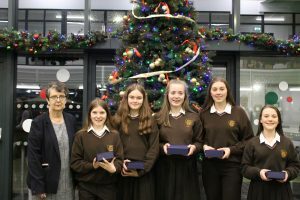 The County Hall was the venue on Wednesday, 16 January for the presentation of awards to the Meitheal leaders in Co. Wexford schools. 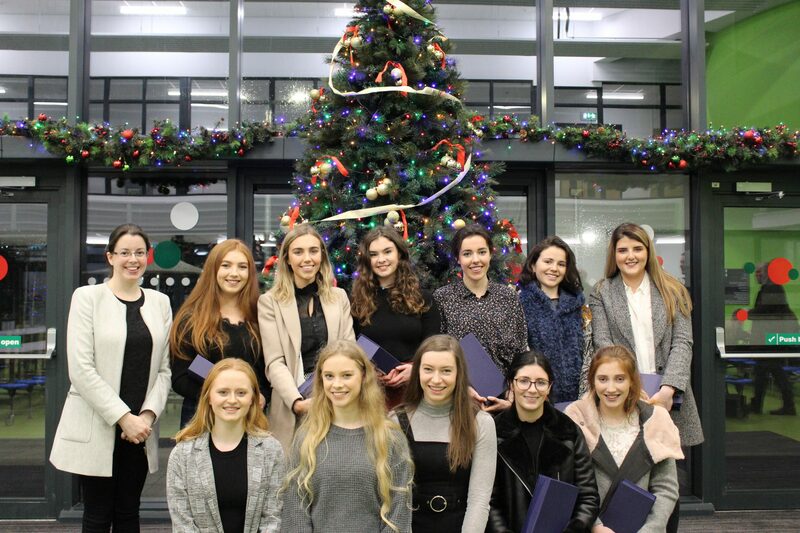 Lara O’Shea, Ciara Kidd, Naoise Ormonde, Becky Smith, Allanah Fusciardi Wallace, Lauren Moran, Ruth Hendrick, Ashling Alouf, Louise Buttle, Aisling Staples, Ciara Banville, Clare Barrett, Mindulee Serevirate, Hannah Quirke, Liadh Dwyer and Cáitlín Nash. 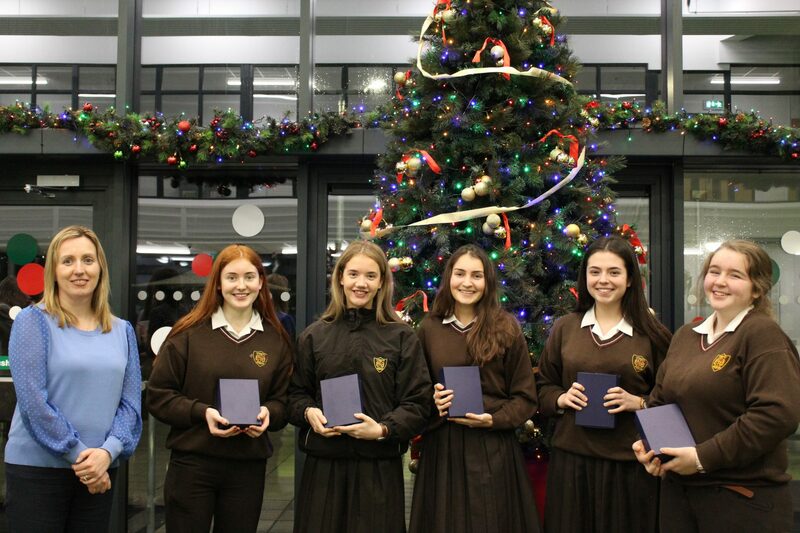 The school is very appreciative of the work done by these students in helping 1st year students settle into life in Loreto. 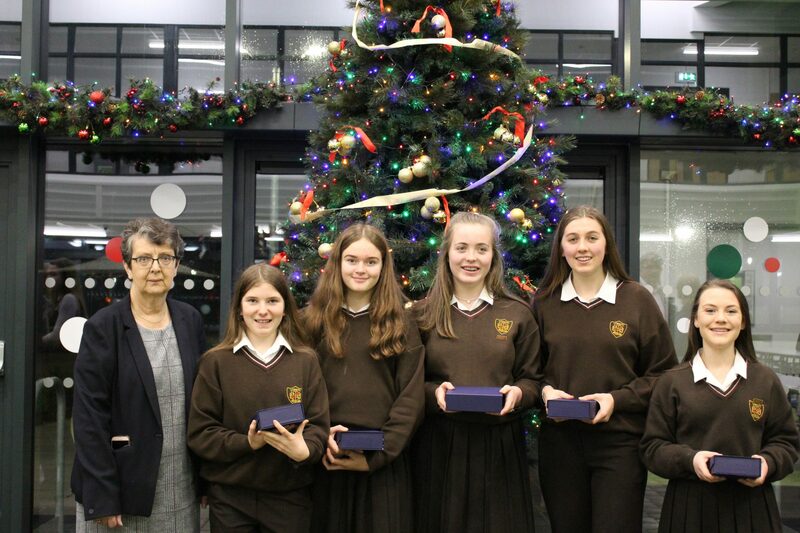 The co-ordinating teacher is Ms. O’ Gorman to whom the school is also very grateful. 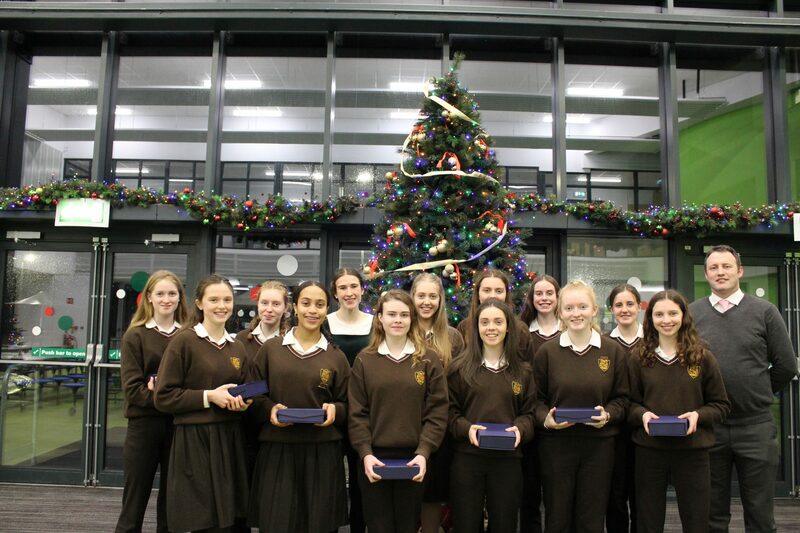 The school warmly congratulates all of these students on the excellence of their academic performance. 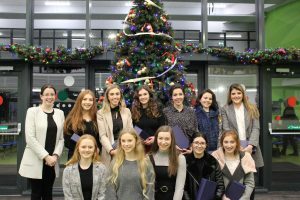 Bank of Ireland have decided to team up with the Transition Year team to try hit the target of opening 100 bank accounts from Friday, 18 January to Friday, 25 January 2019. This facility will be open everyday during the period at lunch time in the General Purpose Area. If you are aged 14 years old or over, open a Bank of Ireland student current account at your school bank. Your account comes with a Visa Debit card so you can shop and pay directly, shop online or use it to withdraw cash at ATMs. Remember you can check your balance, transfer money and access other useful services through your smartphone, with Bank of Ireland 365 online and mobile banking app. Simply call 1800-946-156 to register**. Debit/Credit transactions on your account using 365 online, mobile or phone banking. If you open a new Student Account through your school bank, you can apply for a demand deposit savings account on bankofireland.com; just have your new visa Debit card on hand. Your School Bank team are available to help you open your account, right here in your school. All you need is photo ID such as a passport to complete the opening process and €5.00 to activate your account. You don’t even need to bring your passport in to the school bank, a photo of the passport will do. Good Counsel College, New Ross hosts the re-scheduled Mr. Oil Wexford Secondary Schools Cross Country on Wednesday, 23 January (11am) with races starting at U14 and going up to U19. Best over-all school wins the Donna Foley Memorial Cup. 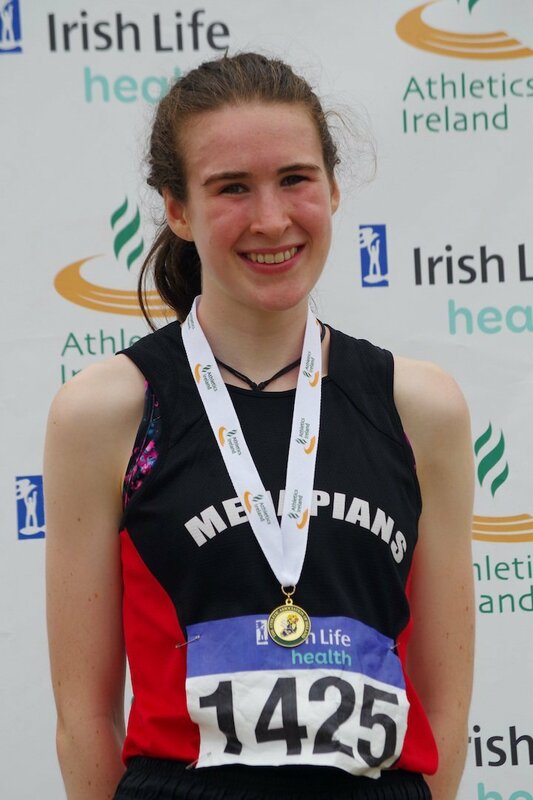 Róisín O’Reilly of Menapians AC put in an impressive individual performance when finishing a close 4th in the Girls U17 race at the Leinster Cross Country held recently in nearby Adamstown. Róisín looked to be a definite for the Silver half way through the last lap with half an eye still on challenging for the lead. However, the increasingly heavy conditions took their toll, especially on the final ascent. There was very little in at the end and she can be content with having started her season with a solid run. Róisín is looking forward to running the Schools Cross Country in New Ross. Aisling Kelly got her new year off to a great start with a fine run at an indoor sprints meet at the NEC, Abbotstown. She clocked 7.90 seconds to share the win in the 60 metres sprint. 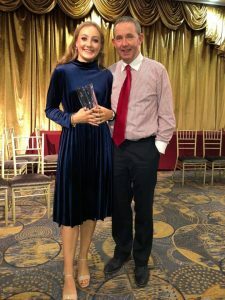 For the second year in a row, the Leinster Star Award for best juvenile female athlete in Co .Wexford went to Maeve Hayes of St Paul’s AC. 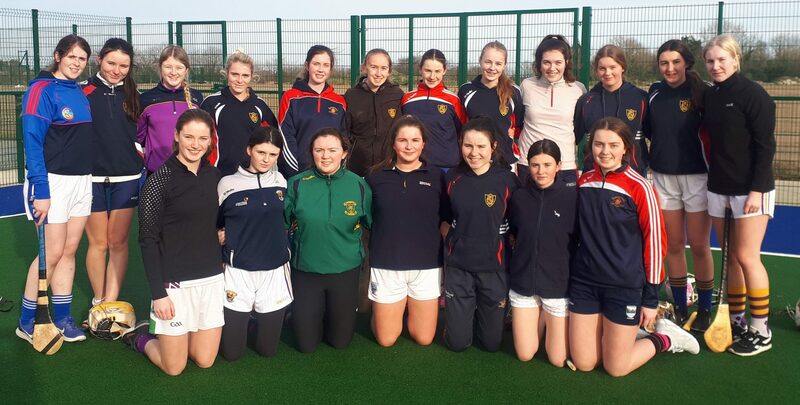 Maeve is a 5th year student in Loreto Wexford. At the Leinster Indoors, Maeve won U17 Long Jump (5.03m) and High Jump (1.63m pb), and placed 4th in 60m Hurdles. She won a bronze in High Jump at the National Indoors. At Leinster Schools she placed 2nd in High Jump despite going into the event with an ankle injury. She went on to finish 8th in the event at the All-Irelands. 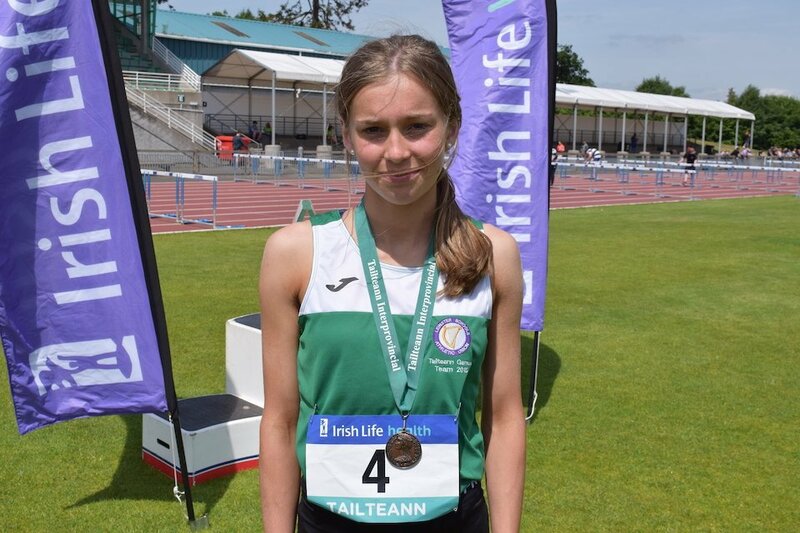 At the Leinster outdoor championships, she won the Long Jump (5.00m) and placed 2nd in High Jump (1.53m), progressing to the nationals where she won gold in High Jump, her first national title, and silver in Long Jump. 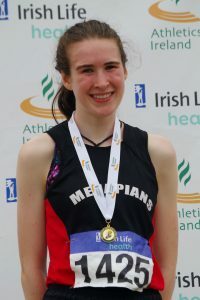 At Leinster Schools Indoor Combined Events in September Maeve took the Silver in Intermediate Girls with 2899 points. The following month at the All-Irelands Maeve placed 4th with 3103 points. At that event she had the joint best result in High Jump (1.59m). In November she won her first Irish vest when she was selected to the Irish team for the Schools International Pentathlon meet in Glasgow. She won a silver medal with the Intermediate Girls team. 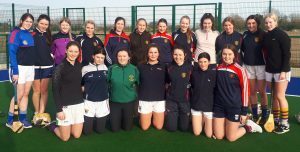 We extend our best wishes to the school’s senior camogie squad when they take on Loreto, Kilkenny in the Leinster final at the weekend. The Students’ Council have organised LGBT Week this week, to acknowledge, encourage and support those in the community. 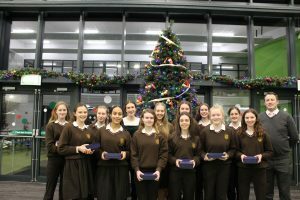 On Wednesday there were announcements made and a nail bar during lunch, on Thursday there was face painting during lunch and on Friday students wore accessories in a designated colour from the LGBT flag into school. 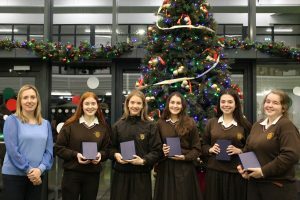 First years wore red, second years wore orange, third years wore yellow, fourth years wore green, fifth years wore blue and sixth years wore purple. Posters and flags were hung in the GP area throughout the week.